From a group of women who loved to sing we have developed into a charity that unite women from around the West Midlands and further afield in their mutual love of singing. In November 2015 we celebrated our 25th year and from our humble beginnings we have gone from strength to strength. 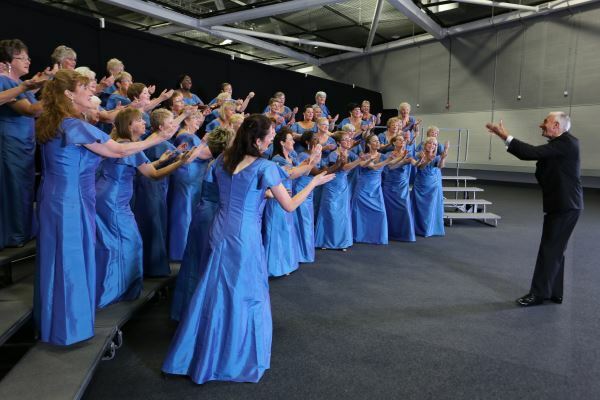 We are the only Ladies Barbershop chorus in Birmingham and currently have about 55 members. We compete at LABBS annual Convention and normally rank within the top ten. With years of barbershop history and providing a legacy of joy and passion for singing for those women who experience the lifelong friendships on the choral risers each week as well as being part of Second City Sound we continue to positively impact women’s lives and help them find their voices, build confidence, enhance their vocal abilities, as well as creating lifelong friendships.